Everyone’s favourite Hawkin’s residents are back (except Barbara) in this first goose bump inducing trailer for Stranger Things season 2. Prepare for continued 80’s nostalgia with the trailer opening in the arcade the kids enjoying the game Dragon’s Lair, but Will is not having a good time. He may have escaped the Upside Down but a new sinister threat is lurking and it’s here for everyone else. Set over Halloween the trailer goes full spooky with Vincent Price’s ominous tones, a bunch of creepy visuals and lots of running, crying and monsters. Bonus, we get our first glimpse of Eleven, she has found her way back but if she has, what else might have? Dun, Dun Duuun. 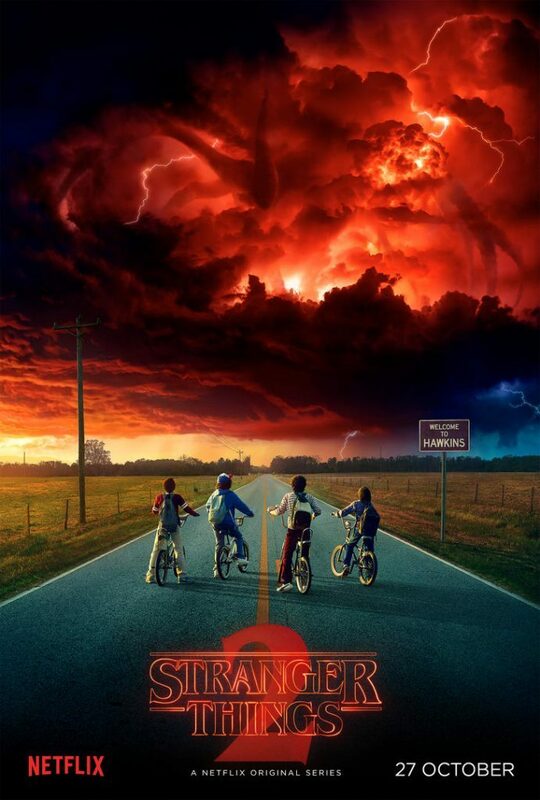 Due for release on Netflix 26 October 2017, Stranger Things 2 sees the return of Noah Schnapp, Finn Wolfhard, Millie Bobby Brown, Gaten Matarazzo, Winona Ryder, Finn Wolfhard, Dave Harbour, Natalia Dyer, Charlie Heaton, and Joe Keery.